Enjoy it Every Spring or All Year Long! 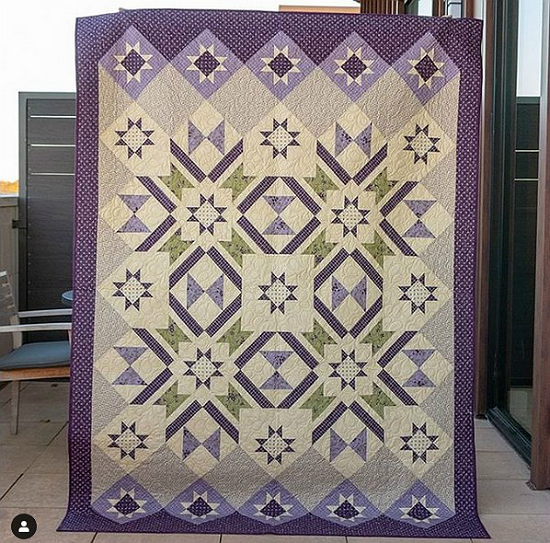 Delicious violets and greens are so lovely in this beautiful quilt. While there’s plenty of contrast for the design to stand out, a softer value range make the quilt especially inviting. It’s easy to imagine curling up with it during chilly weather any time of the year. Or, pull it out every winter when you’re ready for a fresh touch of spring. The intriguing design will be wonderful in many other color themes, as well. Select a predominant color in several values and an accent to bring it to life. The finished quilt, from It’s Sew Emma, is 63.5″ x 86.25″. Click here to purchase the “Hidden Grove” quilt pattern. A kit is also available at that link while supplies last. 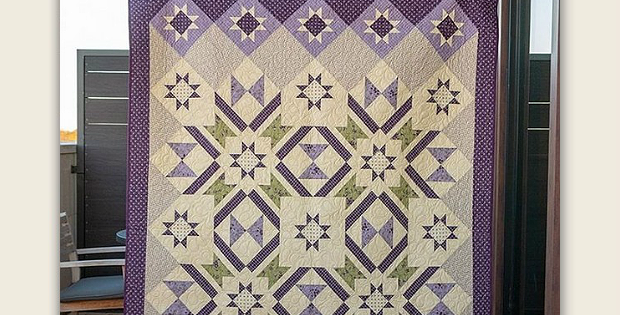 The beautiful fabric line used in the quilt is available here while supplies last.